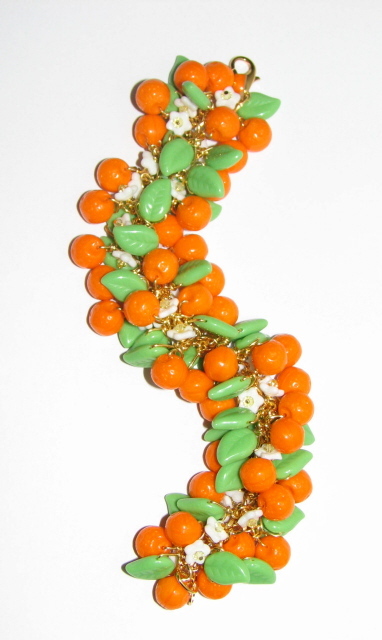 Pretty vintage style orange blossom bracelet. 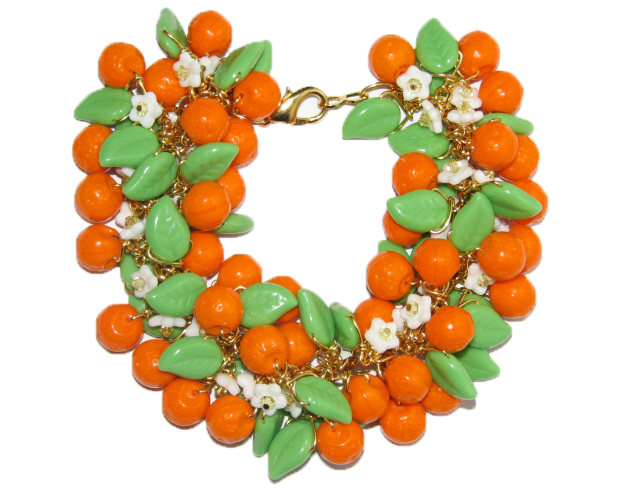 This vintage-style bracelet is filled with individually handwired glass oranges, vintage-style glass leaves and white blossom flowers with glass crystal centers on gold plated chain signed Julia Bristow. There is a matching necklace available. If both necklace and bracelet are ordered, you will receive matching earrings free! (Please note item shown is example and your piece will vary slightly as each is a one-of-a-kind creation made at time of order.) Please allow 4-6 weeks for delivery.